All 20 Grubhub coupons have been verified and tested today! App orders only with minimum purchase of $15 required. Delivery only. Code valid for new diners. Valid for app-purchases of $15 or more. If your coupon is still valid at the time you use it, your discount will be automatically reflected in your order total. Follow these steps and make sure to respect all terms and conditions to benefit from our Grubhub promo codes. Local restaurants often run special promotions for GrubHub, offering discounts on some of their most popular menu items. To find these promotions, just scroll to the bottom of the GrubHub site, and click “Coupons.” Then, select “Find Deals” to view the latest deals and discounts near you. Don’t want to pay delivery fees? Some GrubHub restaurants offer free delivery for all of their menu items. They’re easy to find, too. When you’re browsing restaurants near you on GrubHub, click the “Free Delivery” checkbox on the left side of the screen. Then, you’ll be able to view every restaurant that offers free delivery options. Want to grab something for dinner on the way home from work? With GrubHub, you can order from most restaurants for pick-up. Simply place your order and select the time you want to pick up your order. Pay online, walk in, and pick up your food – no waiting for delivery, or high delivery fees required. If you love GrubHub, you can spread the word to your family, friends, and colleagues – and be rewarded with special discounts. When you share your unique GrubHub referral link with a friend, and they make an order of $15 or more, they’ll get $12 off their order, and you will get a $12 referral credit on the app, to use whenever you want. To get started, just log into your GrubHub account on the website or the app. Then, select your account, and “Refer a friend.” You’ll be taken to a page where you can share your referral link via email, or by Facebook and Facebook Messenger. You can also copy your link directly to your clipboard, allowing you to share it wherever you want. Whether you love Mexican food, Thai, comfort food, or even fast food joints like Wendy’s and McDonald's, you can save on every food order you make with a GrubHub coupon from CNN Coupons. That's it, you've signed up. Now all you have to do is wait for your coupon code to arrive in your inbox! 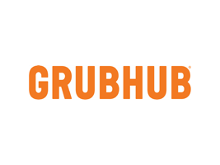 If you use GrubHub often, the GrubHub app is a must-have for your smartphone or tablet. It’s available for both iOS and Android devices, and you can download it for free from the App Store or Google Play Store. With the GrubHub app, you’ll be able to save your favorite orders and get them delivered to you with just a tap or two. You can also save your order history, track your order with push notifications, and pre-order food anywhere from 2 hours to 4 days in advance. You may even be eligible for special, mobile-only discounts and GrubHub promo codes, so keep an eye out for any sales or promotions on the app.